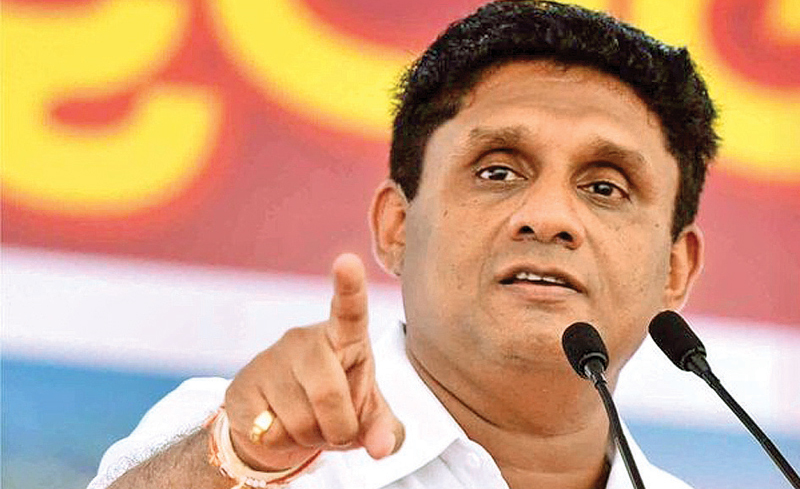 Housing Minister Sajith Premadasa yesterday accused the Joint Opposition of trying to undermine the flow of foreign aid to the country fearing that it could erode their vote base ahead of the up-coming elections. As India poured over 1,200 million rupees to build houses for the poor and pledged more cash for construction, members of the former Rajapaksa regime feared they would have to remain in the Opposition. “If the country returns to them, they will stop releasing land to the landless and keep it for themselves. They will not build houses for the poor, but instead build mansions for themselves. Lands forcibly occupied by them will be acquired at low prices and sold to foreigners at high prices. “Remember, if there is a change it is not you who will get land, houses and reawakened villages, but everything will be centered on one family,” he added. He reminded that the previous regime did not allow any political dissent and one who spoke against the then government was abducted in white vans and disappeared. He also lamented that there had been hardly any coverage for India’s generous gift of 1,200 million rupees for housing for the poor, but the Opposition was spreading falsehoods about rifts within the Cabinet and clashes between the President and the Premier. The Opposition was also trying to create falsehoods of rifts between President Maithripala Sirisena and India to undermine their strong ties that resulted in a greater assistance to the country. “Today we have strengthened democracy, there is discussion in Cabinet unlike under the former regime when ministers could not even go to the toilet without getting permission from the king (Mahinda Rajapaksa),” Minister Premadasa said. He said there was deep discussions when taking decisions in sharp contrast to the dictatorial nature of the Rajapaksa regime where the ruling family took all the decisions and ministers were mere rubber stamps. He said elements within the Opposition were enacting an Oscar-winning script to undermine the work of the government as well as relations with neighbouring India. The Housing Minister said India was prepared to finance more housing projects in the country to help the needy people and the Opposition was unhappy about the welfare schemes that the government has been able to deliver.